What is Cervical Facet Radiofrequency Denervation? Cervical Facet Radiofrequency Denervation is a procedure used to treat neck pain. The cervical facet refers to a part of the vertebra in the neck through which nerve fibers arise from the spinal cord. Radiofrequency denervation is a procedure similar to a nerve block but that utilizes radiofrequency and offers a long term solution to pain. Who needs Cervical Facet Radiofrequency Denervation? Wear and tear of the cervical facets occurs with advancing age and constant movement of the neck, which can lead to pain during movement of the neck joints. While painkillers may help relieve the pain, in some cases the pain can persist despite maximal medical treatment. In such cases, nerve blocks can be performed that block the conduction of pain signals through the nerves around the facet joints. 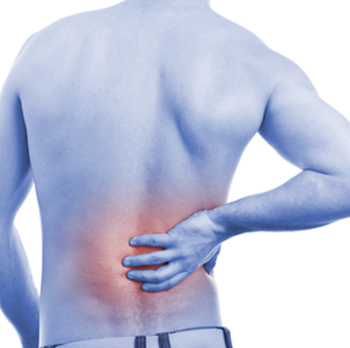 The aim of radiofrequency denervation is to provide long-term pain relief. These effects can last for a few months up to a couple of years but sometimes the pain can return as the nerve fibers grow again. In such cases, a repeat procedure may need to be performed. What are the steps in Cervical Facet Radiofrequency Denervation? This procedure may take up to half an hour to perform. You may be offered mild sedation during the procedure. After isolating the cervical facet joint that is causing the pain using an x-ray, the skin that covers the area is numbed with a local anesthetic. Using X-ray or fluoroscopic guidance, your surgeon will insert a tiny needle through the numbed skin, all the way to the cervical facet joint. Radiofrequency waves, in the form of a tiny electric current passed through the needle, are then administered. These waves generate heat and destroy the nerve fibers that are causing the pain. Once the nerve fibers have been destroyed, a small amount of steroids may be injected to help reduce any inflammation that may occur. Following the procedure, the patients are observed and subsequently discharged home. Patients may feel mild tingling or numbness in the area where the procedure was performed. This is normal and passes after a short while. It is advised that a family member or friend take the patient home as the sedation takes time to wear off and driving is a risky. Patients may experience mild amount of bleeding and bruising at the site of the procedure. Allergic reactions are rare and usually towards the medication used rather than the procedure itself. Radiofrequency denervation should be avoided if patients are suffering from an active infection or are on blood thinning medication. It can take anywhere between a month to 6 weeks to recover fully following the procedure. Patients are recommended to rest for at least a couple of days before embarking on any sort of physical activity. When doing so, activities should be light and easy to perform for a few days before attempting anything strenuous. Posted in Back Pain, Pain and Tests. This bone condition affects millions all over the world. Do you know what it is? Osteoarthritis is a disease of the bone and joints where there is breakdown of the joint tissue and structure, resulting in pain in the joints and reduced joint movement. As it involves joint breakdown, or degeneration, it is a degenerative joint disease. It is the most common type of joint disease seen across the world. Osteoarthritis is commonly seen in individuals over the age of 50. It is also more common in women. Millions of people all over the world suffer from osteoarthritis, with the American College of Rheumatology reporting that over 27 million people in the United States suffer from it. There are many causes of osteoarthritis, but the most common cause is aging. As one gets old, it is natural for the joints to get weaker and the tissues to lose their strength. This results in degeneration of the bone and joint tissue, resulting in osteoarthritis. In addition, there is also inflammation of the bone and joints that causes pain. However, osteoarthritis can occur in younger patients, especially those who place their joints under a lot of stress every day. These can include athletes, as well as people involved in occupations that commonly stress the back and joints, such as builders or painters. People who have a family member who suffers from osteoarthritis can also develop this condition. Also, patients who are overweight or obese are at a higher risk of developing osteoarthritis. There are a number of symptoms that patients can experience when suffering from osteoarthritis. These can include joint stiffness and reduced movement, pain upon movement and swelling of the affected joints. As a result of these, the patient may have trouble performing their daily tasks, prompting them to see a doctor. When examined, patients may have tender, swollen joints with limited capability of movement. Osteoarthritis commonly affects the hips, knees, lower back and the small joints of the hands and feet. Among these, the knee is the most common joint affected. In most cases, osteoarthritis can be diagnosed from clinical history and examination of the patient. In some cases, x-rays will reveal damage to the joint with changes specific to osteoarthritis, such as irregular bone margins and narrowed joint spaces. In some cases, an MRI scan may need to be performed. Pain killers: These may be offered to reduce the inflammation and to reduce pain. Drugs such as non-steroidal anti-inflammatory drugs, or NSAIDs, are often used. Physical therapy: Sometimes, doctors may refer patients to a physical therapist, who may prescribe a treatment plan that will help reduce pain and increase joint movement. They may even offer certain aids to help walk about and manage tasks at home. Steroid injections: These may be offered by the doctor in case pain is severe and is not reduced by the above measures. It reduces pain and inflammation significantly when injected into the joint, but repeated injections may be required. Posted in Back Pain, Joint Pain. Posted in Back Pain, Neck Pain. So far you’ve learned how your lifting habits and posture can destroy your back. This article will focus on how not exercising may be hurting you more than you know. Here’s how. We all know proper nutrition and exercise are important for maintaining general health. Did you know that weight-bearing exercises can help strengthen your bones? Bone is living tissue, so it responds to exercise by becoming stronger. This is especially important if you're over 30, as that's the time many of us begin to lose bone mass. In addition, regular exercise can help improve coordination, balance, and muscle strength. This has the added benefit of reducing the chance of falls that can result in fractures and other injuries. Weight bearing exercises are especially important for women over 30 or anyone in danger of developing osteoporosis. By working to improve bone strength, the risk of osteoporosis can be reduced. Those already diagnosed with osteoporosis should discuss the best exercise options with their doctor. Weight-bearing exercises are the best for bone health. These are exercises that require working against gravity. This includes jogging, weight training, tennis, dancing, tai chi, yoga, and others. Starting a fitness routine that involves activities like these can help you stop hurting your spine and start helping it. When standing, do you tilt your head in any direction, lock your knees, or put your weight on one foot? Do you slump your shoulders forward or keep them pulled so far back that your abdomen is pushed forward? When you sit, especially for long periods of time, do you find yourself leaning slouching or slumping? Do you put all your weight on one hip or lean toward your work? If you answered yes to any of these, your posture may be hurting you. A healthy spine makes a slight S-shape. There should be a curve inward at your lower back, a slight curve outward at your upper back, and then another gentle curve inward at the top of your spine. A healthy spine has these curves, and good posture helps you retain them. Bad posture can increase the angles of the curves, putting your joints and bones in the wrong alignment and causing your body to work harder. This can cause fatigue, muscle strain, headaches, and back pain, but it can also put you at an increased risk of injury. Good standing posture boils down to holding your chest high, keeping your shoulders relaxed but back, pulling in your abdomen and buttocks, and balancing your weight evenly on both of your feet. Your feet should be kept parallel. When sitting, it's best to keep your back slightly arched and your head and shoulders straight. Keep your buttocks and back against the back of the chair, and your feet flat on the ground. You should make any necessary adjustments to your workspace to ensure you're sitting at a good height, preferably one where your hips are at the same level as your knees. It's also good to stand and stretch by putting your hands on your lower back and arching slightly backwards at least every hour to give your back a break. An easy way to determine your best posture is to stand up straight against a wall, touching your buttocks, shoulder blades, and the back of your head to the wall. Keeping your heels two to four inches away from the wall, place your hand behind your lower back's curve with your palm flat against the wall. There should be approximately enough space for the thickness of your hand. Tighten the muscles in your abdomen if there's too much space and arch your back more if there's too little space. Once this is accomplished, you've found the correct posture for your body and should try to maintain it. Stepping on cracks won’t really break anyone’s back, but lifting wrong will. A lot of back problems can be prevented. In this series, we’ll take a look at some of the ways you may be hurting your back everyday, starting with incorrect lifting. Stepping on cracks won't really break anyone's back, but lifting wrong will. A lot of back problems can be prevented. In this series, we'll take a look at some of the ways you may be hurting your back everyday, starting with incorrect lifting. When you lift something, the weight you pick up is distributed to your body. When you lift something incorrectly, the weight is sent to areas that can't take the extra pressure. Bending down at the waist to pick something up directs the weight of the object straight to your spine. This alone can lead to back strain and disc problems, but twisting your back while lifting can cause disc herniation and can accelerate degeneration of your spine. Degeneration occurs naturally as we get older, but lifting incorrectly could give you the back of a person decades older than you. The best way to avoid destroying your spine is to pay attention to those safety posters. Before you lift something, determine if it's too heavy for you to lift alone, and if it is, always find someone else to help you lift the object. Whenever possible, use dollys, carts, or other devices that are made to carry heavy objects. When lifting, bend at the knees in a squat as close to the object as you can. Keep your neck and back straight and lift by using your legs. You'll find that lifting is not only easier this way but safer, too.